Apparently some big comic-book movie opened last weekend — The Avengers? Which has nothing to do with Mr. Steed and Emma Peel now? WTFrock? 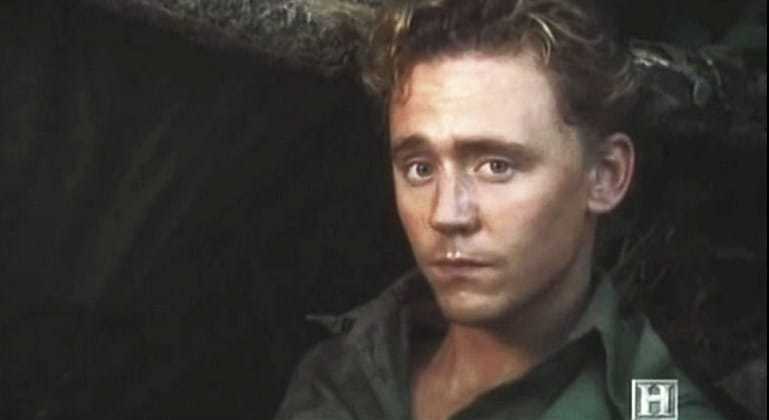 But our boy Tom Hiddleston plays Loki in this new flick, and some people are into that. 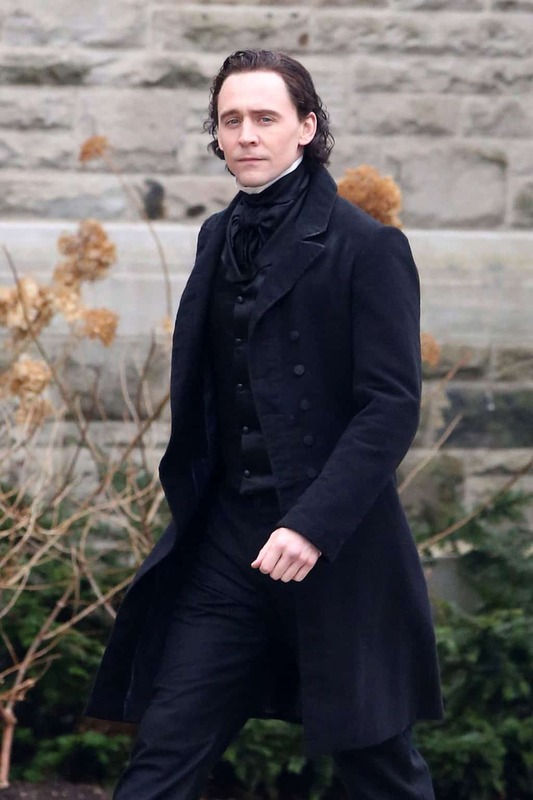 But I’m more into his appearances in historical costume movies and TV series from Austen to Shakespeare. Thus, it’s Man Candy Monday time! 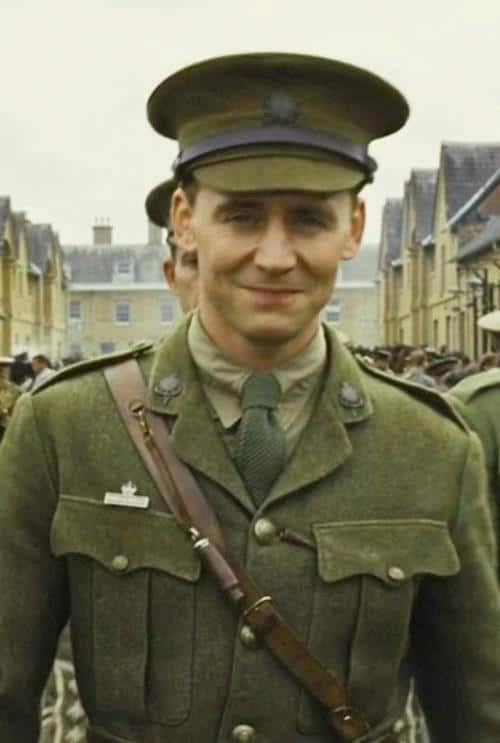 What’s your favorite of historical costume movie or TV role with Tom Hiddleston? 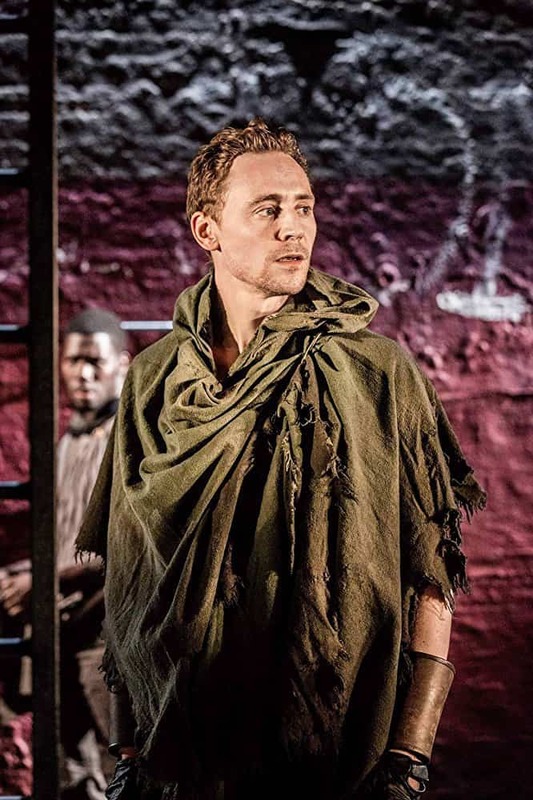 He was wonderful in Coriolanus. It was broadcast from the theatre, but I’ve never been able to find a permanent record of it – have you found one????!!! I’ve found one, but’s a) massive (4GB!) and b, subtitled. And I can’t get rid of them. Thanks for the reminder about this performance. I see that there is now (eventually!) a DVD from the National Theatre. It’s only Region 2, but that’s fine for me. 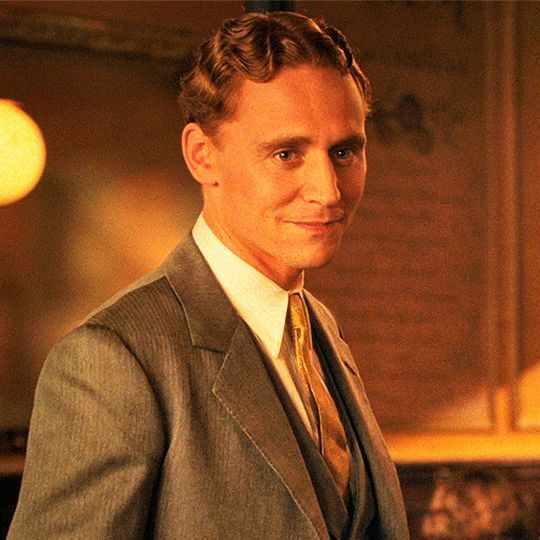 Is there much evidence that men attempted marcel waves (see Midnight in Paris above)? I’m not sure I’ve ever seen that before. 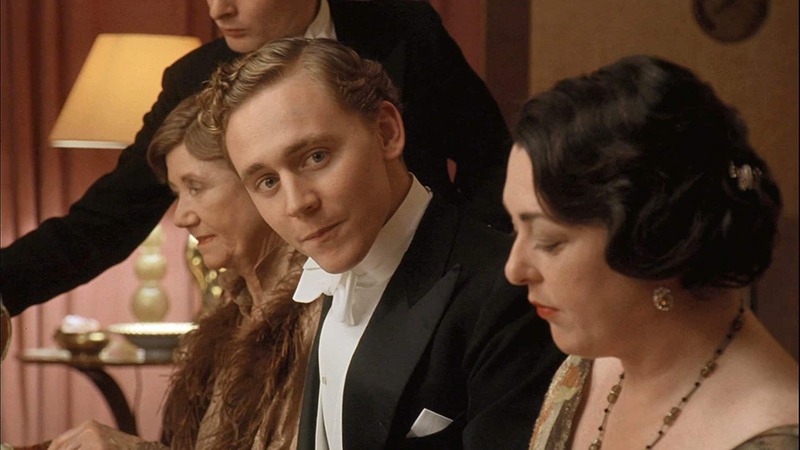 Fitzgerald’s hair wasn’t quite like Hiddleston’s, but it was notably wavy. 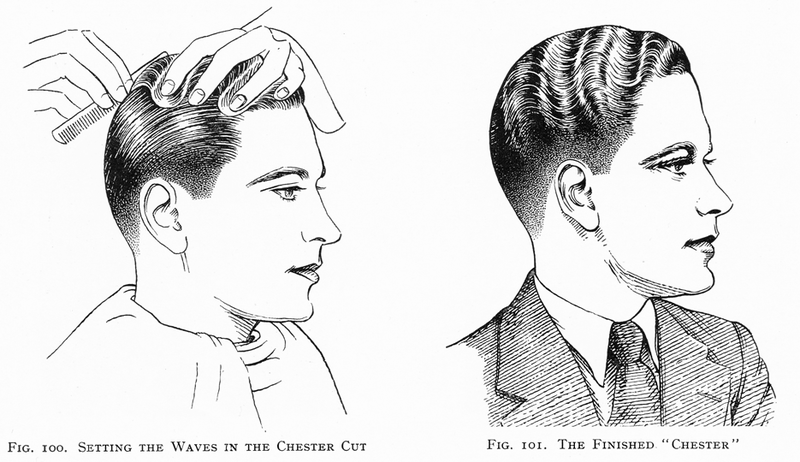 And yes, men did actually wear their hair like this in the ’20s. Check pictures of Charlie Chaplin. I can’t post a link, but there was apparently a style called the “Chester” that involved deliberate finger-waving. 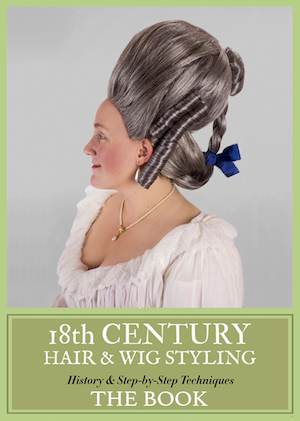 Thanks–I’ve never really paid attention to the history of men’s “do’s”. He does suit period work but he got the English boys lose their hair and skin early as they age genes and the running joke is he will evolve into Peter Cushing looks wise. Oh I know and I adore Mr Cushing(best Dr.Who that everyone forgets about). 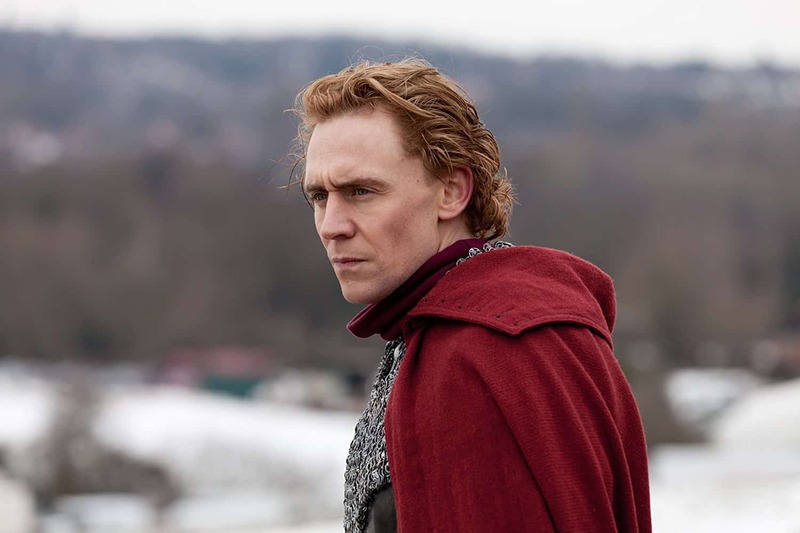 A bunch of us were saying Tom should do a remake of The Court Jester or maybe The Scarlet Pimpernel before he gets too much older. He does rather resemble Anthony Andrews, doesn’t he? He was very good in The Night Manager. Not historical but a great dramatic mini series. Yes!!! He was fantastic in that. Many of these historic pieces are on my watch list. Since he is in them I may have to bump them up a few notches. 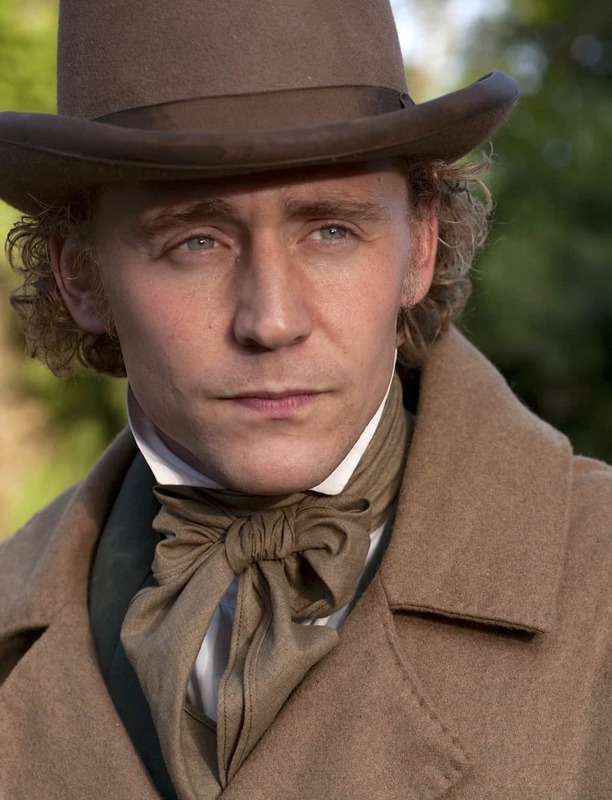 I did enjoy him in “Return to Cranford” and “Crimson Peak”. 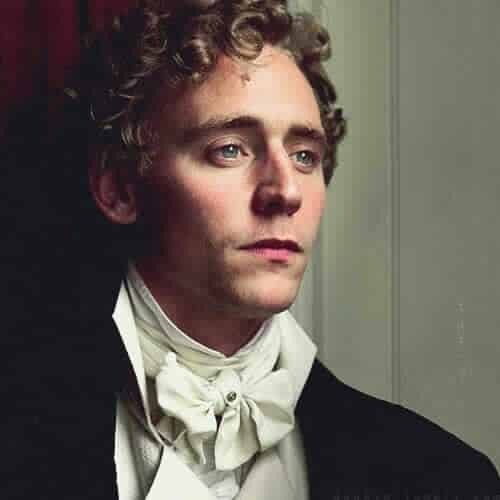 I love Hiddleston – especially when he is blond and curly. 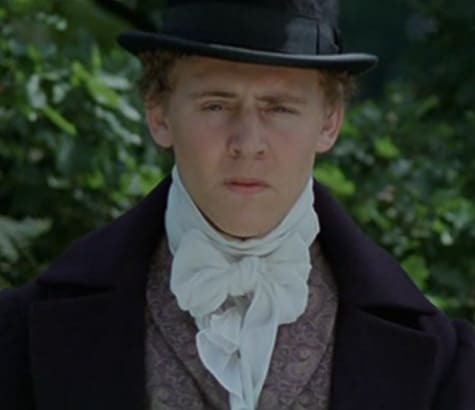 He was apparently told by a costumer or makeup person on Nicholas Nickleby that he had a “period face” – which he didn’t quite understand. 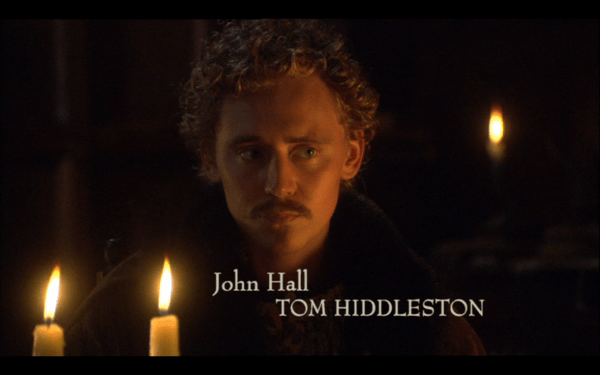 I liked him alot as prince Hal in Henry IV part 1 & 2. In BBC’s “The Hollow Crown” being naughty and being scolded by his dying Father King IV [=Jeremy Irons]. When he thought his Dad had alreay died…his response was heartwrenching. Oh sweet Baby Jesus that last gif! Yes indeed. The only true “Avengers” feature John Steed and Emma Peel. Tom H, has been excellent in the roles I have seen hm in my favourite being Prince Hal and he likes cats… always a plus. I adore him, as he’s so expressive! And I do prefer him as a brunette. (Not really a blonde fan, ever.) As for that ‘wolfish toge’, I would be fine with you removing it. Yeah. I agree, he looks better as a brunette than blonde. 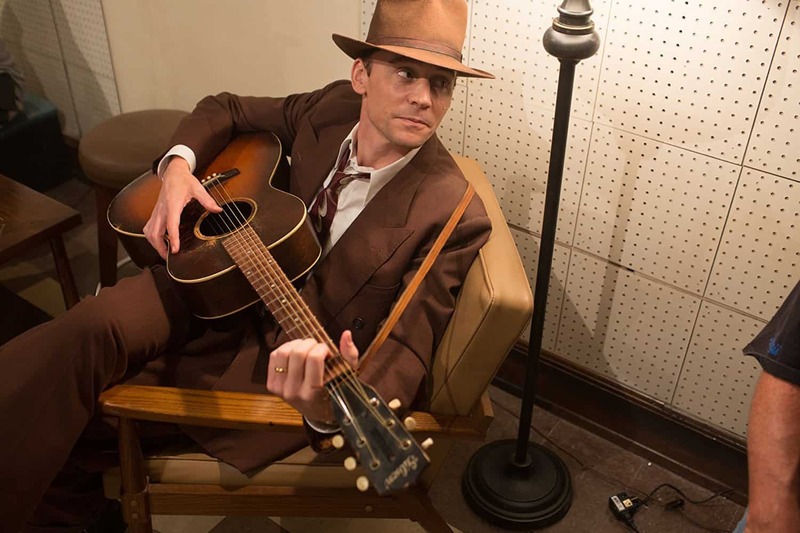 I came on to look at costumes and Tom Hiddleston appears. Can’t get away from him, although thats not a bad thing.